Traveling cat spotted on a pumpkin patch in Fallbrook, USA. That is a swell pumpkin patch. Have a terrific Tuesday. Very nice. Enjoy the pumkin, kitteh. Cats and pumpkins just seem to go together in October. what a sweet kitty in the pumpkin patch! 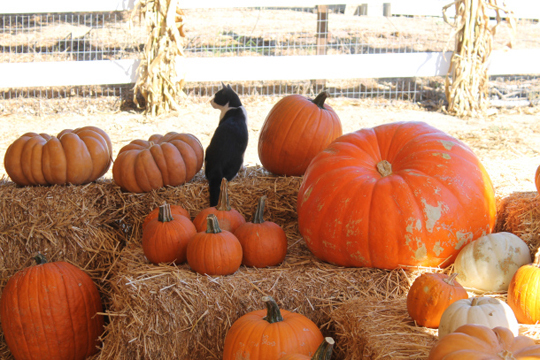 Which pumpkin will that kitty choose?